Perhaps it wasn't quite as sharp as a pivot made by hockey stars Sidney Crosby or Connor McDavid, but TransUnion’s latest Canada Industry Insights Report found what experts are describing as a potential inflection point with regard to how much debt consumers are willing to add to their family balance sheets. TransUnion indicated the average non-mortgage debt level per consumer rose to $29,648 during the second quarter, a 3.9-percent increase over the same period last year. The reading represented the third consecutive quarter where the quarterly change is less than the change seen in the previous year. Of that total non-mortgage debt figure, TransUnion indicated that average balances connected to auto financing came in at $20,700, marking a 2-percent rise year-over-year. 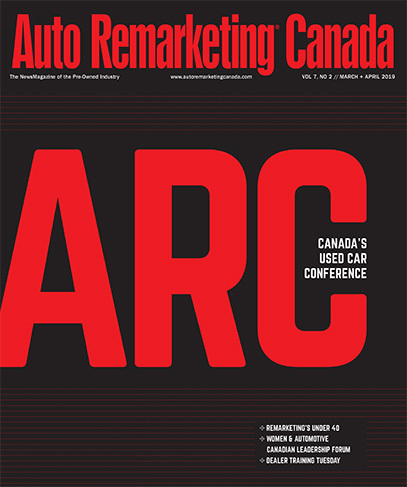 Auto Remarketing Canada connected with Matt Fabian, director of financial services research and consulting for TransUnion Canada, for more insight about the trends might mean. “What our data suggests is consumer balances continue to increase, but the rate over the few quarters that it’s been increasing has been slowing. It may be a signal that consumers in Canada are hitting an inflection point,” Fabian said. “They might not be there yet since balances are still growing, but the amount at which they’re growing is smaller. So we think we might start to see Canada pull back a little bit as a result of some rise in interest rates as well as some uncertainty about the future of the economy. TransUnion also highlighted that delinquency rates remain in check, with the percentage of non-mortgage accounts 90 or more days past due decreasing 24 basis points from the prior year to 5.33 percent in Q2 2018. From a vintage perspective, Fabian explained the trends also remain relatively consistent as consumers taking on credit products in the most recent quarters show very similar delinquency patterns over time as consumers who opened credit products in previous years. Looking specifically at auto financing, TransUnion found that serious delinquency rate stood at 1.7 percent in Q2, dropping by 17 basis points year-over-year. “We’re seeing some really interesting dynamics play out in Canada when it comes to consumer debt,” Fabian reiterated. “While consumer non-mortgage debt continues to rise, the rate of growth is slowing, and serious delinquency rates are down. This is happening even as some consumers may face pressures from increased costs due to tariffs. Also, interest rates continue to rise, which can often put strains on the consumer wallet. TransUnion also found that the consumer credit score distribution had generally remained consistent over time, with some expansion in the super prime tier, which is the least risky credit consumers. Fabian noted this stability indicates that consumers are generally managing their credit well. “We found that 91 percent of Canadian consumers either remained in their same respective risk tiers or improved during the second quarter of 2018. This is great news for consumers, as more people seeking loans may be eligible for better rates,” Fabian said. TransUnion Canada also shared debt metrics connected to specific cities, highlighting the delinquency improvements made in places such as Edmonton, Calgary, Saskatoon and Winnipeg. “We’re still seeing some of the cities, especially out West in the Prairie provinces, still struggling with debt. I think that’s due to the fact that economies in Alberta and Saskatchewan specifically were heavily affected in 2014 and 2105 by the drop in oil prices. These things tend to lag,” Fabian said. “The Alberta economy certainly has turned a corner, and we’re seeing all economic trends in terms of GDP and output are all positive. In fact, some forecasts are that Alberta might be the leading province in Canada over the next several months in terms of productivity and might be coming back to its place as a thriving economy sooner than later,” he continued. “There is lots of optimism there. But what you see in the short run, there is that lag effect between when that turnaround happened and when consumers pull out of their debt and delinquencies,” Fabian noted. Fabian also pointed out how much debt burdens have grown in Vancouver, with average non-mortgage debt balances climbing by 6.13 percent year-over-year in Q2 to nearly $40,000. He cited consumers taking on lines of credit because of housing price pressure. “If more has to go to a mortgage, that’s stretching them and their money to be used for other things,” Fabian said.